Christmas card accented with Gold Foil. 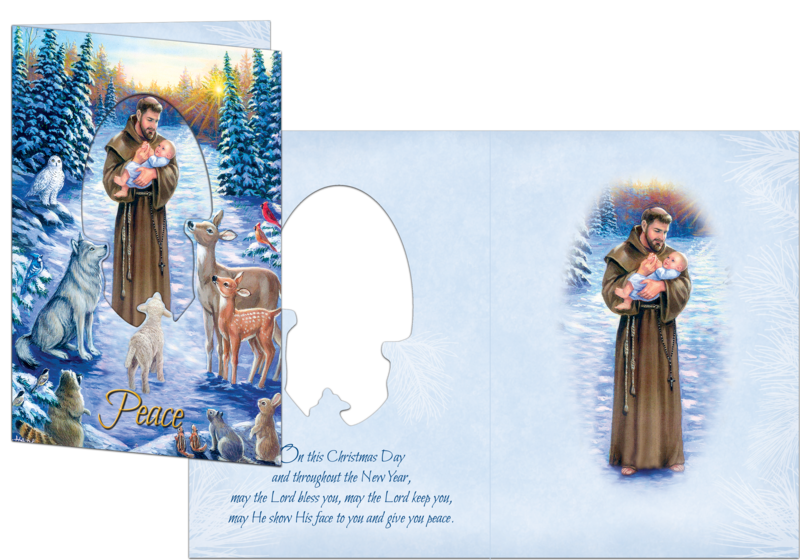 On this Christmas Day… May the Lord bless you, may the Lord keep you, may He show His face to you and give you peace. Blessings at Christmas and throughout the New Year. On this Chirstmas Day and throughout the New Year, may the Lord bless you, may the Lord keep you, may He show His face to you and give you peace. On this Christmas Day and throughout the New Year, may the Lord bless you, may the Lord keep you, may He show His face to you and give you peace.